You know, Mondays aren’t as bad as they say. ESPECIALLY this one, and I will tell you why. 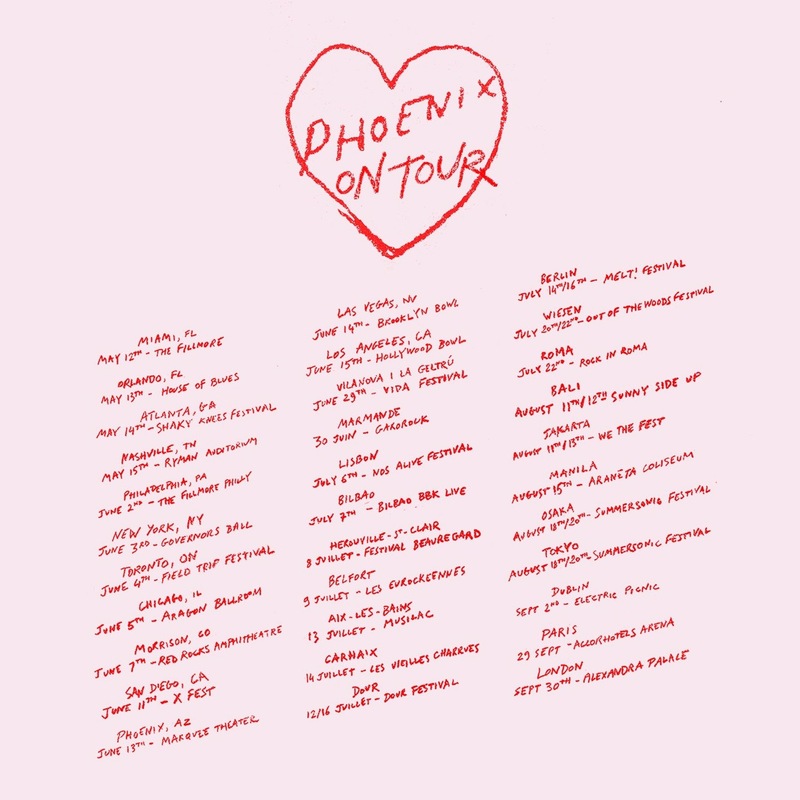 This morning, my personal favorite group of lovely French men (Phoenix) announced a whole bunch of tour dates via this photo posted to their social media accounts. Whitney, The Lemon Twigs, and Miike Snow will be joining them on tour.